Dr. Robert Keith Wallace received his Ph.D. in Physiology from the University of California at Los Angeles and did his postdoctoral research at Harvard Medical School. His seminal papers published in Science, the American Journal of Physiology, and Scientific American, showed that Transcendental Meditation technique, produced a fourth major state of consciousness different than waking, sleeping, or dreaming. Dr. Wallace was the founding President of Maharishi University of Management and established the first Maharishi AyurVeda Clinics in the United States. He has traveled worldwide giving lectures at major universities and institutes on Maharishi’s consciousness-based health programs. Dr. Wallace is the author of The Neurophysiology of Enlightenment, The Physiology of Consciousness, and co-author of Victory Before War. 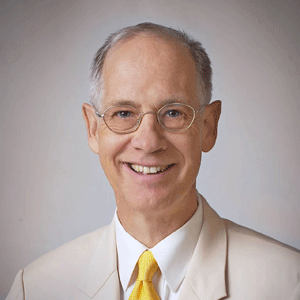 Dr. Wallace is currently a trustee of Maharishi University of Management and Director of Research. He is a professor and the Chair of the Department of Physiology and Health.